PT4205. 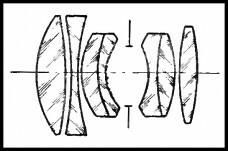 Prototype lens, calculated by GOI in 1957. Focal length - 5 cm (5.2 cm), aperture range f2.0 - f22. Focusing range from 1m to infinity. Number of elements/groups: 7/5. Angular field - 45º. Focusing tab. Seems to be constructed for Zorki (M39) mount. PT4205 - Mercury-1 prototype lens. PT4210. 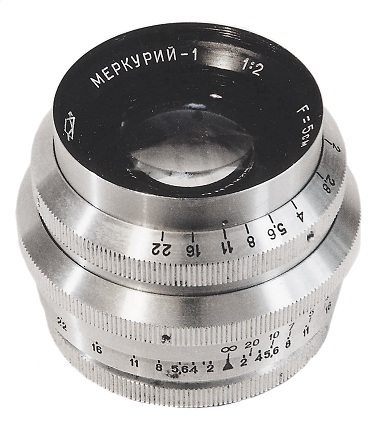 Another Mercury-1 prototype lens, released by KMZ already. Totally different body design. The particular lens was constructed to fit the new camera, called "KOMETA", released by KMZ in 1958. Special bayonet. 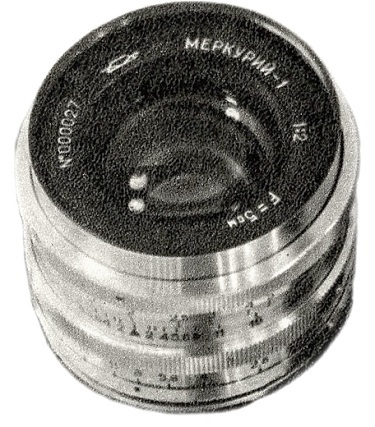 Very few Mercury-1 prototype lenses are known to exist. An earliest so far known lens has s/n #000026 (private coll.). 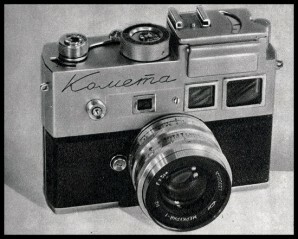 Sample opposite scanned from Sovietskoe Foto (1959) magazine. PT4215. 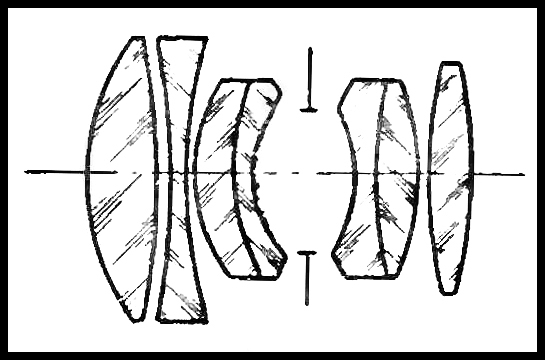 Another version of the particular prototype lens. 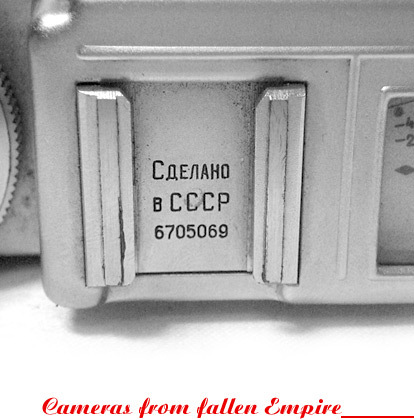 Seems to be released by KMZ for Zorki (M39) mount. An ultra rare to find nowadays. 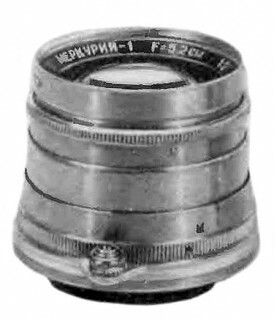 PT4215 - Mercury-1 prototype lens.